With only 3 ingredients this Japanese Cocktail is easy to make, but tastes deceptively complex! Post may contain affiliate links. I’ve talked before about our ever expanding liquor cabinet. We now have liquor stored in 3 places in our house. Once you start getting into cocktails, you find all these unusual cocktails that happen to call for one ingredient that you don’t have. So, off you schlep to the liquor store to bring home another bottle. While being able to make practically any cocktail we want now, it’s still good to go back to the basics. To remember that you don’t really have to have 2 liquor cabinets and a shelf in the pantry. Take this Japanese Cocktail for example. I found it in The 12 Bottle Bar: A Dozen Bottles. Hundreds of Cocktails. A New Way to Drink. I can not say enough good things about that book. It walks you step by step through recipes going from simple to more complex. Even though we have too many bottles of liquor to even count, we still love the basics that are covered in this book. I especially like the little bit of history that accompanies each recipe. This Japanese Cocktail first appeared in The Bartender’s Guide in 1862. In 1860, the first Japanese delegates arrived in New York and a sort of Japanese furor overtook the U.S. There really isn’t anything about this cocktail that makes it Japanese, just that it was created when America was all for all things Japanese. Even though it only has three ingredients: brandy, Angostura Aromatic Bitters , orgeat syrup , it has a decidedly complex flavor. A little sweet, a little savory. This is one you’ll want to have in your back pocket to impress your guests. Combine the brandy, bitters and syrup in a mixing glass. Fill with ice and stir for about 30 seconds. Strain into a martini glass. Rub the lemon twist around the rim of the glass and then drop in the drink. Beautiful! Will pick up some orgeat syrup and give this a try. Can’t get any more basic than an Old Fashioned, which also uses bitters. I’ll about easy cocktails…and this looks delish! You are the destination for unique cocktails and I think your pictures portray the mood of the drink. Hope that last part makes sense. I don’t know what orgeat syrup is but I’m about to find out. This looks delicious. Your comments about the multiple liquor cabinets made me laugh because I’m overrun with bottles. That doesn’t seem to stop me from acquiring more though. I know exactly what you mean about the ever-expanding bar cabinet. Even so I still don’t have orgeat yet. Been wanting to try it! My blog isn’t even cocktail-exclusive but, man, you can really go down the rabbit hole. I also NEEDTHATBOOK! Beautiful! I love the flavors in this! What a lovely looking drink…I’m looking forward to trying this one. Thanks for hosting the linkup! Thanks for the invite Pam, and nice to see so many other tasty tipples! Love the glasses! So pretty. Love brandy based cocktails and this one looks and sounds beautiful, Pam! Love the gorgeous colour! Sharing. Thank you for being a part of our Hearth and Soul Hop. 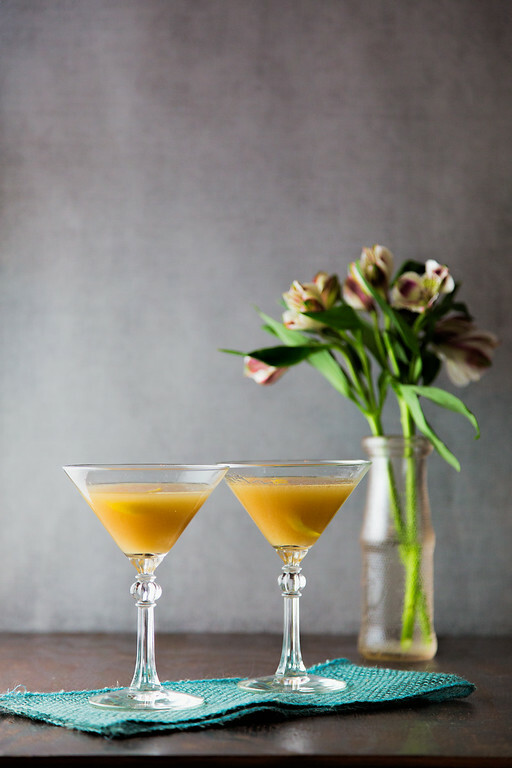 Love this Japanese cocktail recipe, I am in love with it,t hanks For sharing with Hearth and soul blog hop, pinning and tweeting. I love the idea of a cocktail from the 1800’s! Your Japanese Cocktail sounds lovely, Pam and it looks so pretty too. Tweeting and pinning. Thank you for sharing with us at Hearth and Soul.